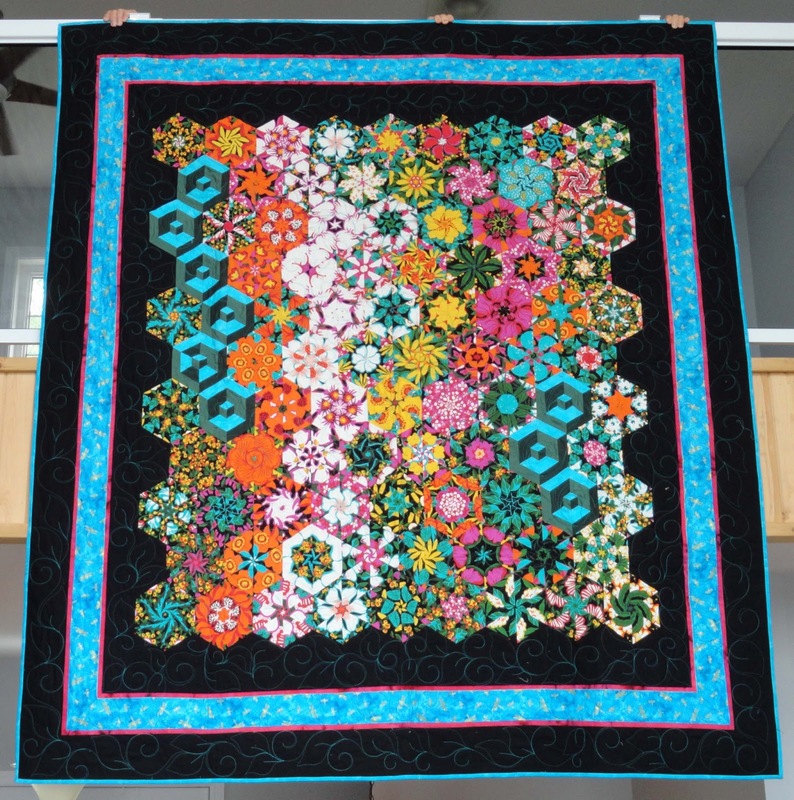 This is a one block wonder quilt I made for Marta and Otto for their past and future hospitality in their Florida home away from home.The machine quilting was done by Deb Kopeschny. 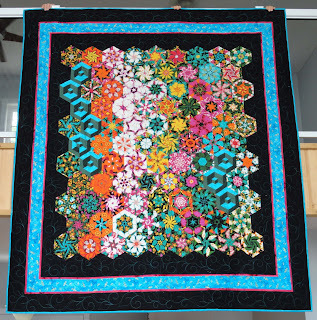 The turquoise thread really bounces off the black. It was fun to make with all the bright and happy colours.